I know they say taste begins in the eyes, and your food has to look appetizing to make eating it a totally fulfilling experience. But some dishes look so good, that they’re almost too pretty to eat! 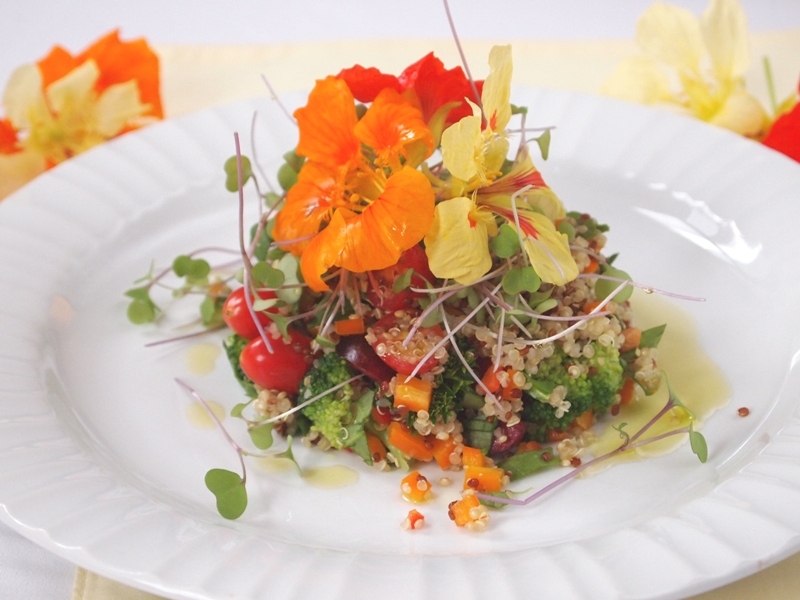 That is the case with this quinoa and flower salad, which we made this past summer for Que Rica Vida. My mom and I went to the Farmers Market in Union Square and bought the most beautiful vegetables and edible flowers we could find, and when we got home we simply combined them with our favorite Peruvian ingredient: quinoa. The result speaks for itself. Get the recipe here.